To provide the ultimate in software flexibility, Ponderosa employs a sophisticated and, unique to the industry, concept of software parameterization. Through this technique, our consultants are able to selectively activate individual software features that most suit each client’s individual needs. This amounts to a partial customization of the software to each business’ unique requirements without the need for programming, which translates to a near custom system at the cost of a standard package. Productivity gains in lumber, building material and millwork software are typically realized through ease-of-use that expedites the normal processing of everyday business activities or productivity gains through the automation of formerly manual operations. With the Ponderosa lumber, building material and millwork software, productivity gains can and do play a major role in the calculation of return on net investment. Ponderosa’s advanced quotation system provides a real edge in today’s competitive lumber and building materials market. You can quickly generate on-target pricing with accurate and current costing and material availability data. Quotes may be moved directly to order status and easily adjusted based on cost or price changes. At the core of the Ponderosa lumber, building material and millwork is a sophisticated sales order processing engine that completely automates order entry, invoicing, back-orders, and handling of assortments and distribution orders. The Ponderosa order processing system ensures that orders are recorded accurately, that the goods are shipped right the first time, and that orders are invoiced promptly. Accurate costing and pricing is essential to maintaining a profitable building materials business. The Ponderosa lumber, building material and millwork software centralizes standard and actual costs so price changes are applied quickly to components, sub assemblies and finished products. BOM roll up allows for quick re-pricing and costing. 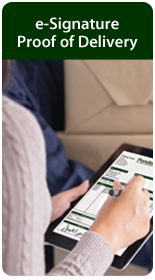 The Ponderosa lumber, building material and millwork software assists in the quick efficient and accurate ordering of materials, including PO tracking as well as receipt and invoice matching. Sophisticated purchasing tools calculate average daily usage based on your unique parameters as well as PO returns and non-stock / direct POs which pull non-stock special line items from sales order into the PO. Ponderosa includes a powerful set of Sales Contact Management tools that provide a complete and flexible contact and sales process management solution. You can keep close track of your customers’ buying behavior and offer timely, information-based service. Manage your sales opportunities better, automate lead routing, track prospects, manage e-mails, appointments, tasks and contacts and, perhaps most importantly, measure and forecast sales activity, all using CRM functionality that’s delivered, optionally, as a natural extension of your team’s Microsoft Outlook. Ponderosa lets you quickly view sales by product, region or sales rep – and any other of your unique key performance indicators – as intuitive dashboard objects, so you can make informed, on-the-fly adjustments to your marketing, selling and customer service strategies. You get immediate access to real-time customer, sales, inventory and other key business performance indicators (KPI). No more waiting for outdated reports or lengthy spreadsheets. This click-driven, visually interactive interface presents your data in an intuitive ‘dashboard’ and puts the power of meaningful information into the hands of the people who need it – so they can make more informed and profitable decisions. Operating your retail POS has never been easier. Ponderosa provides complete control at the register for cash, checks, and credit cards. You get transaction posting, deposit and quote tracking, scheduled deliveries, credit issues, payment processing on account and, most important of all, rapid checkouts – all from one simple menu. Just enter your customer’s name and address at the POS and Ponderosa maintains historical data like transaction details, total purchases to date and more. This information is helpful when verifying payments on previous purchases, controlling product returns or monitoring pricing discounts. You can choose from a range of supported POS devices, touch screens, barcode and magnetic card readers. Cost of Ownership over a reasonable period of time is a key element in a true analytical review of an investment in software. 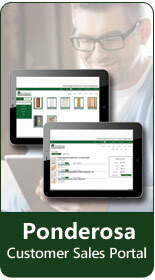 Through No Charge software updates and competitive 24/7 support, the Ponderosa lumber, building material and millwork software will provide a favorable cost of ownership comparison over a five year period and longer to its major competitors. Cost reduction is a key element in a favorable return on net investment. From personnel savings attained through staff reduction and/or productivity gains, to the elimination of pre-printed multi-part forms in favor of computer-generated forms and the automated archiving of all reports and forms through an Enterprise Records Management System, the Ponderosa lumber, building material and millwork software lets you realize significant operating cost reductions. Gaining a competitive edge is a key element in a favorable return on net investment. From personnel and maintaining a competitive edge in your market can be very meaningful to any business. One primary way that Ponderosa lumber, building material and millwork software offers a competitive edge is by providing access to timely and meaningful management information to assist in making key strategic and financial decisions. Windows® server operating systems enable the Seasoft seafood processing and distribution software to operate with ease in a network environment widely acknowledged as the industry standard. In addition, Ponderosa can be delivered as a complete cloud application and we can host your IT infrastructure in our cloud or on a public cloud, potentially saving you significant upfront and operating expense. Automated Product Configuration reduces costly order-entry errors, prices the order, updates inventory status and schedules the product for the shop – fast and accurately. With the Ponderosa lumber, building material and millwork software, you can build exterior doors, windows, window units, stair systems and other custom millwork products at the time of order and without pre-defined bills of material. Accurate and timely management reporting is the heart and soul of any business and this is where the the Ponderosa lumber, building material and millwork software system shines. Full reporting is available within all modules with special emphasis on management status and profitability reporting such as SIR Reporting (Sales/Inventory recap), SOBER Inquiry (State of the Branch Effectively Report) GMROI (Gross Margin return on Investment) and many more. Professional services are an important part of your Ponderosa investment. Each implementation begins with a comprehensive needs assessment. Our experienced consultants and software development teams bring an intense focus on discovering those business processes and requirements that make your business distinct. Next, leveraging our proven best practices and experiences working with a broad base of companies within our target markets, we will recommend a customized software and hardware solution that streamlines operations through business process automation and real-time information availability. We offer extensive training and support to help you get the most from our system. Our staff of trainers, consultants, programmers, and support representatives is available to assist with training and implementation, as well as answer any ongoing questions. Hands-on training, on-site services, phone support, custom programming and ongoing product updates provide our clients with expert, personalized service. You can be confident that you will have the best lumber and building materials business software solution – now and in the future. Ponderosa software is unique among ERP software providers, offering a full suite of convenient business network and IT support services to keep our customers up and running 24/7 and help significantly reduce IT support fees. These services include both managed network monitoring and traditional ‘break-fix’ support services. In addition, we provide disk-based, real-time data backups (and a bullet-proof disaster recovery platform), server virtualization technology to reduce your computer operating costs as well as a suite of tools from industry leading security companies to guard against damaging computer viruses, phishing and malware attacks that often result in costly downtime. In order to insure the highest level of management reporting, software performance and ongoing client profitability, Ponderosa has developed a unique concept within the lumber and building materials manufacturing and distribution industries. Under our ‘Guarantee Against Software Obsolescence’ concept, research and development on advanced computer software and industry best-practices processes is ongoing and results in the periodic release of new software functionality, which not only meets the current needs of our business partners but sets the standard for lumber and building materials manufacturing and distribution software nationwide. And the best part is that there is no additional charge for the new software functionality.